Smart work and Time management play important role in Life. 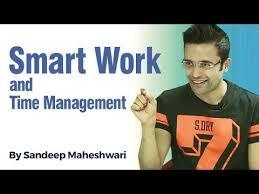 watch this video of Mr. Sandeep maheshwari motivational guru. Click on the link below to watch video. In upcoming posts we will post more such type of video that help you to keep focus.